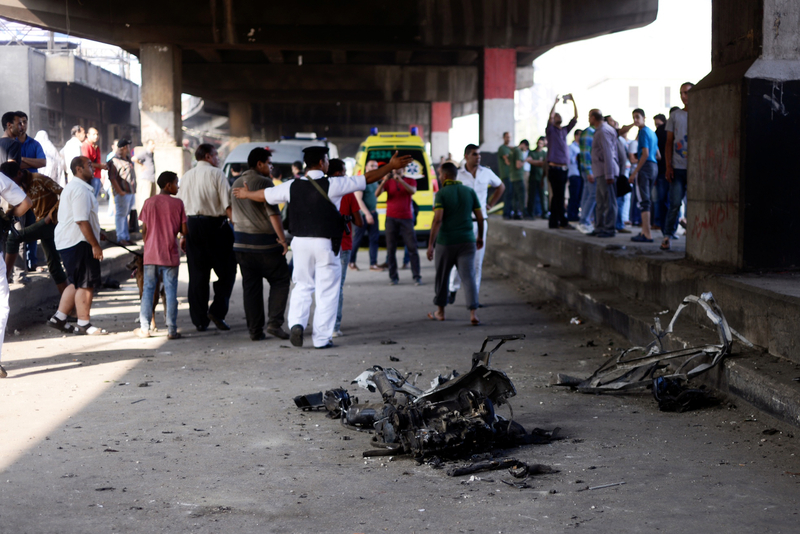 A car bomb that detonated early Saturday morning outside the Italian consulate in downtown Cairo left one person dead and at least eight others injured, including one police officer. The blast also destroyed a large part of the historic consulate building and ruptured multiple water lines. The so-called Islamic State (IS) has claimed responsibility for the attack, according to the the SITE Intelligence Group, an organization that tracks jihadi organizations. IS warned in a statement for Muslims to stay far away from "security dens" like the consulate, calling them "legitimate targets" for strikes. The explosion ripped a massive hole at least two stories high through the building, destroying several floors. Video from the scene showed bricks and rebar spilling into the street, where a small lake had formed after the water pipes burst. The consulate was closed when the bomb went off around 6:25am, and no staff members were among those injured, according to the Associated Press. Paolo Gentiloni, Italy's foreign minister said on Twitter his thoughts were with the victims, and declared that Italy would not be intimidated by the attack. The message claiming responsibility for the bombing was signed "Islamic State in Egypt," and said the car contained 990 pounds of explosives, according to the AP. On Saturday, onlookers inspected the twisted metal remains of the car's engine block, which still lay in the street at least an hour after the attack. On Saturday, Italian Premier Matteo Renzi called Egyptian President Abdel Fattah el-Sisi to express his condolences and pledge Italy's support for Egypt's fight against terrorism. "We will not leave Egypt alone: Italy and Egypt are and will always be together in the fight against terrorism," Renzi said, according to a statement from his office. Pope Francis, in the midst of a South American tour, also sent a telegram to Sisi from Bolivia. In it, he called for "political and religious players at all levels to unite their efforts to combat with ever more determination the plague of terrorism and to promote harmony and solidarity."